Quick Vegetable Biryani: is an extremely popular Indian comfortfood. This recipe is all about making it quickly at home. Fall is finally here, you can feel the nip in the early morning air and for me it’s the beginning of food season to follow ….. 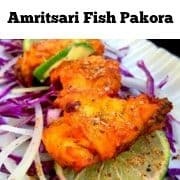 It also reminds me of the childhood years in India, as this time of the year we had variety of fresh fruits and vegetables flooded in the market (summer’s being the worst for produce) and we used to look forward to weekend meals/get-together as they were perfect for warm and delicious meals with family n friends. My recent visit to the local produce store and seeing such abundance of fresh veggies, made me extremely nostalgic about those fun childhood days, playing with friends over the weekend and sharing vegetarian biryani made by my mother. So here I’m many years later, trying to re-create the same recipe and Guess What – The tables are turned and she’s the one doing tasting this time !!! 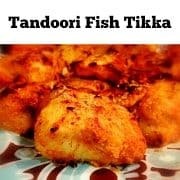 This is going to be the weekend recipe I wanted to share with you all. 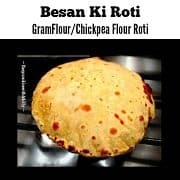 You can substitute vegetables as per your choice and play around with spices and other ingredients. 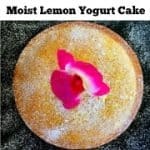 I’ve added ghee/clarified butter on the top layer as it intensifies and gives it a delicious taste and aromatic flavor. Also adding pomegranate seeds adds to it’s flavor and looks great too. Serving Suggestion: Serve Hot along with yogurt / gravy or can be eaten as is. Storage: Can be stored in fridge in an air-tight container for upto 2days. NOTE: This is a very simple and easy recipe and I’ve divided it into Four parts for further convenience. Part 1: Cooking the rice. Once the rice is cooked (it should be slight hard to touch), switch off the heat, sieve the hot water and keep the rice aside. In a large non-stick pan, heat 1/4 cup olive oil on high for 2min and then add the thinly sliced onions. Saute the onions for 1min and reduce the heat to medium. Now keep stirring the onions carefully till they turn golden brown (Takes about 10min). Strain the onions and keep aside. Heat 3Tbsp oil in a non-stick pan on high heat, add the whole spices, give it a quick stir and reduce to low heat. Now add the powdered spices along with 1/4 cup of fried onions and all this cook for another 3-4mins. Once the veggies are cooked, switch off the heat. a.) In a Large serving dish (That can accomodate 4cups of rice), layer 1/4 cup of cooked rice. b.) Sprinkle some fried onions evenly over the layered rice. c.) Now add 3-4 Tbsp of cooked veggies and Dry fruits over this. Repeat a, b & c till the bowl is almost full. 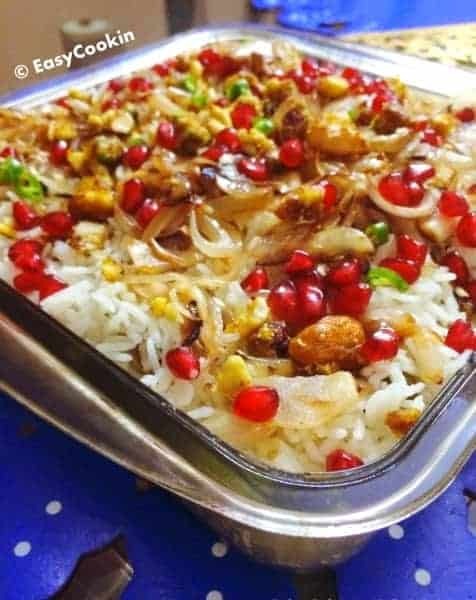 Now keep the top-most layer of rice and sprinkle with rest of the fried onions, dry-fruit, green chilies and pomegranate seeds. Before serving: Heat in microwave for 10mins or in the oven. 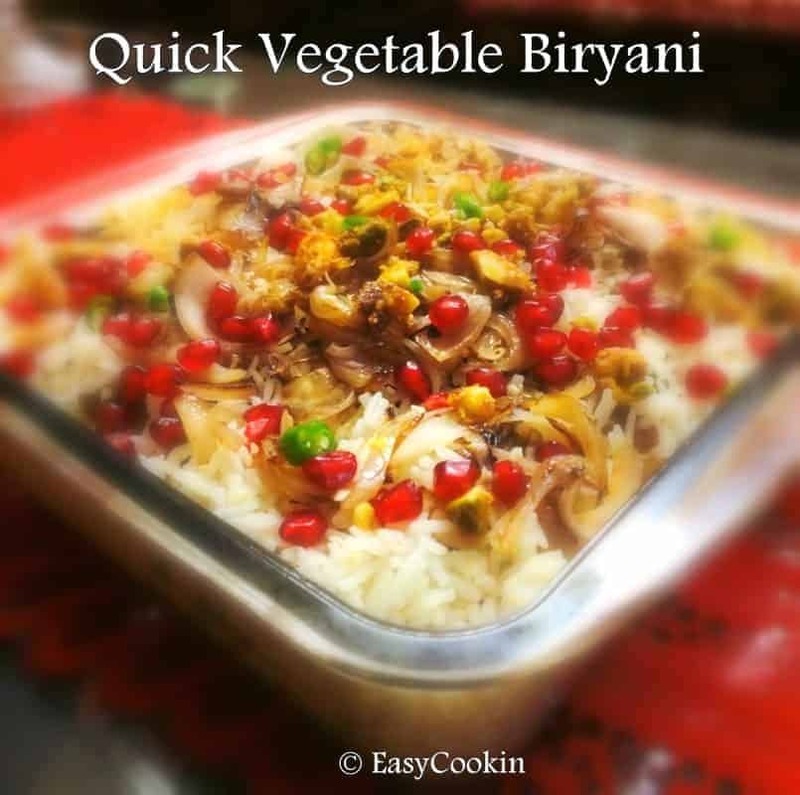 11 Replies to "Quick Vegetable Biryani"
That will be awesome Madiha. I love rice too and definitely Biryani’s are one of my fav – Hugs. Ooohh.. this looks absolutely delicious! love love love Biryani !!! Thanks for sharing this. 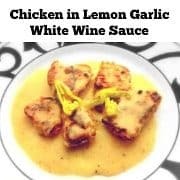 This looks easy to prepare and absolutely delicious! This Quick Biryani looks delish.